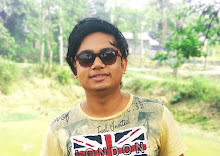 Hello, Guys, I am Majibul Hussain And Today In This Article I Will Teach You How You Can Get Free Recharge On Any Mobile Operator Or SImCard. Many People Requested For This Awesome Article Or Video In My Youtube Channel So I Decided To Write A Article Or Create A video On this Topic. I am Using Mcent Almost 5 Years And When Mcent Get Closed Mcent Browser Will Come Up And I am Using This Software Almost 2 Or 1/5 Years And I earned A Lot Of Points And Recharge With This Amazing Software. So I Now Some Of The Hidden Tips And Tricks. First Of All, Download And Install Mcent Browser Successfully And Register A New Mobile Number To Get More Points. If You Just Login Then I think You Didn't Get Much Profit From This Software So Kindly Register A New Mobile Number. Once You Successfully Register In The App Than you Good To Go. If You Going To Earn More Points In Mcent Browser Than you Probably Need To Know Some High Keywords That Means You Need To Search High CPC Keyword Here Is Some High CPC Keyword That You Can Search And Get High Points. And If You Need Some More High CPC Keywords Than Click HERE To Get Good Points. If You Already Read All The Basic RequireMents Than You Can Earn More Money So This Was The Last But Power Full Method To Get More Higher Points. You Need A VPN To Get More Points Because In India The Advertiser Pay Very Low CPC So I Recommend You To Use A VPN Click HERE To Download VPN And I Recommend You To Search High CPC Keyword To Get Higher Points.